Bonzour mo ban kamrade ! Tou korek? Welcome to Mauritius, Indian Ocean sunniest capital and an unspoilt, beach lover’s paradise that combines excellent urban experiences and natural activity options. Sapphire blue ocean, porcelain white sand beaches, maritime heritage and one of the most spectacularly unspoilt coastlines in the world. And all this is just waiting to be explored. Visit Indian Ocean Sunniest Capital and experience more than just amazing sunsets over the ocean. 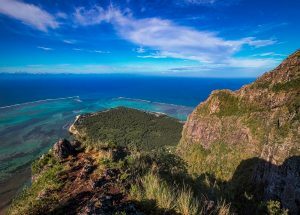 Regularly ranked in the top 10 world best destination, Mauritius is where you can watch an ocean sunset and sunrise (from le Pouce you can see both) and never get bored with it from one of the 40 white sand beaches and relax in one of the world’s best hotels. Some known and not-known places! Places you would like to see, well I will list the most visited places and give you other places you might want to checkout. A good way to discover the south is a road trip : Road trip along the south coast. Many more places you can visit are found here! 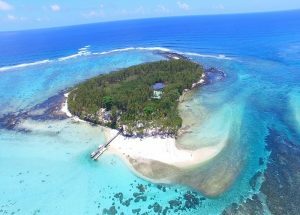 Some notes for your planning : If you have a week in Mauritius, I would recommend you to pick one or two of the top 5. Dolphin cruise/swim is very early in the morning 6am to 9am( because the dolphins leave for the open water after 10am) , so you can squeeze a trip to the south if you have a car or go to Casela. All dolphins cruise departs from the West coast, either Flic en flac, La Preneuse beach or Black River Jetty. Catamaran cruise is a full day activity with food and drinks provided. Le Morne is also an early morning activity, finishing around 11am. Whatever time of the year you visit, mauritius’ seasons are sure to put on a show! September through November are warmer months but everyone are kept cool by the welcome breezes. December through March tend to be the hottest months which makes swimming and ocean activities so refreshing. A warm time of the year with an average overnight temperature of 25oC and a daytime temperature average of 30oC. Traditionally it’s a very busy period for locals and visitors alike, with swimming, barbecues and water activities proving to be a popular pastimes. Summer maximum can reach as high as 33 to 35oC with an average of 80% humidity, so please be prepared. It is the high season for cyclones, with cyclones mostly coming at this period of the year. Summer rain, most of the time going for an afternoon is quite normal but expect a few of them during this period. This is the season that provides a transition from hot summer days to balmy blue skies with little wind and stunning days. It is often the most popular time of the year for visiting as a result. You will enjoy perfect fishing weather, clear water and we’d say it’s the ideal time for a family holiday and honeymoon. Winter days can be sometime miserable with an average of 22oC. Mostly cloudy and consecutive rainy days. A great time for hiking and camping with waterfalls at their peak. However, this is the whale season in full swing and they are along the west and north coast. Best season to see them. It is very windy along the east and south coast making it a mecca for kitesurfers. Regular waves from the south make it one of the best surfing holiday of the year. Waves reaching 6m high are often seen at the world renown spot of One Eye at le Morne. Escaping the winter winds comes spring. Still windy in early September, the weather is sure to get better day by day with the average daytime temperature rising to an average 26oC. This period is notoriously dry and with low humidity. What’s the weather like by season!